He didn’t cry in the very beginning, no. But you probably would. 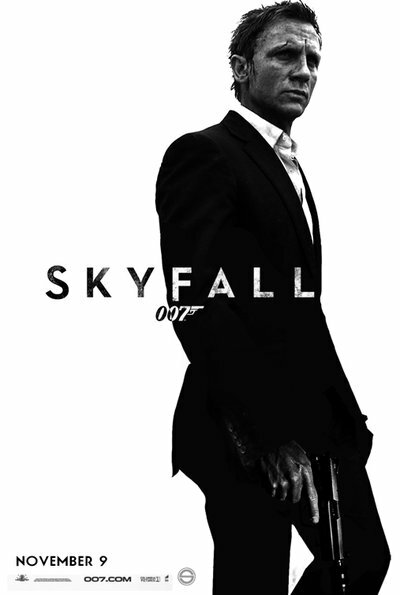 The movie features Daniel Craig’s third performance as James Bond, and Javier Bardem as Raoul Silva, the film’s villain. The film was directed by Sam Mendes and basically, in Skyfall, Bond investigates an attack on MI6 where it transpires that there is an attack on M by former MI6 operative, Raoul Silva. We see the return of two recurring characters after an absence of two films: Q, played by Ben Whishaw, and Miss Moneypenny, played by Naomie Harris. For those of you who will like to know the movie was shot in the United Kingdom, China and Turkey. The film’s release coincided with the 50th anniversary of the James Bond series, which began with Dr. No in 1962. Frankly, the opening scene of the movie sets the pace for the rest of it to follow. On the roof tops of the grand bazaar in Turkey, a nervy motorbike chase which evolved from a Land Rover versus Audi chase will get your blood ruining. You may have realized my emphasis on the brands. It’s on purpose. Get used to it now before you see the movie because there will be many more times when it is thrown at you in the movie. Apart from that, the voice of Adele plus the unbelievable stunts should get you in the mood for a good movie. Its impressive how all through the movie, Director Mendes shows us a fallible Bond; a human being who has his failings (yes that includes women), has his good and bad days, and has the tendency to try some absolutely ridiculous things. The choice of villain was most appropriate. He enters the movie telling a story of rats and a barrel and ends up hitting on Bond. He is sweet and ruthless. He is just classic villain, plain and simple. I think he could have worked harder at being evil and tormenting Bond’s life, but then I am not a director right? For the old school boys and girls, watch out for the classic Aston Martin that has come to be associated with the Bond brand for ever so long. Never matter what happens to it in the end, just feel good that at every turn in the movie, you will get a feel of the age old classic. However you choose to enjoy the movie, find it. Go in there expecting. You will not be disappointed. I wasn’t!